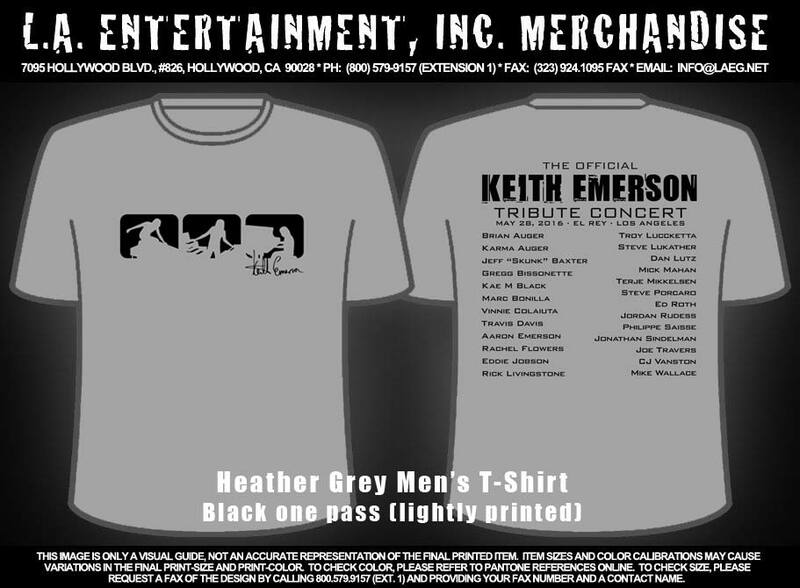 Get the official T-shirt from the Keith Emerson Tribute Concert held Saturday, May 28th, 2016 at the El Rey Theatre in Los Angeles. 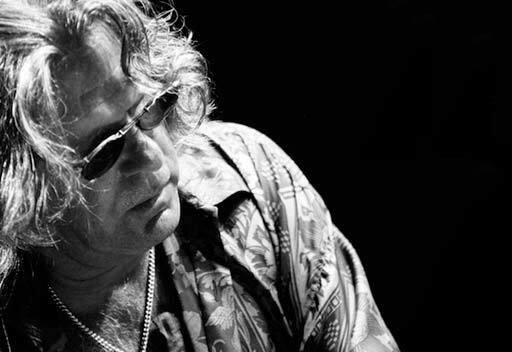 The Official Keith Emerson Tribute Concert at the El Rey Theatre in Los Angeles was a retrospective of Keith's entire career from the Nice, to Emerson, Lake, & Palmer, to the Keith Emerson Band and Three Fates Project. Many of the artists in the concert who performed some of his most famous works were close friends of Keith. It was an amazing night of music and homage to one of the most influential musicians and composers of the twentieth century.